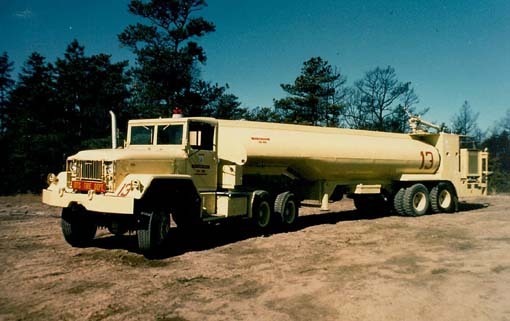 was welcomed and found regularly at refilling sites for breakers. 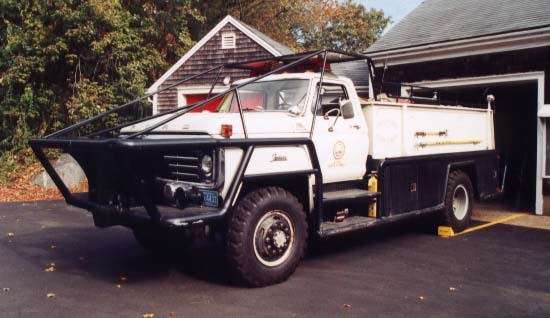 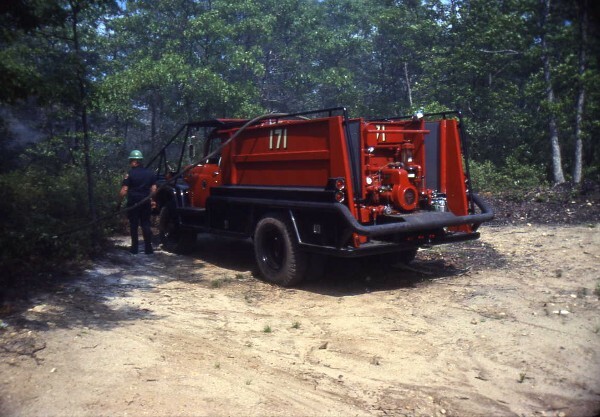 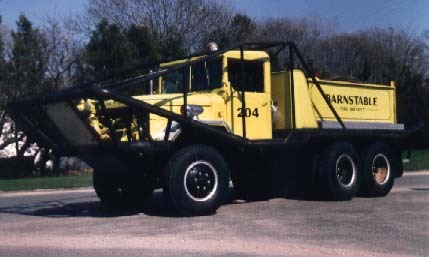 This 1976 Ford / Farrar 600 gallon brush breaker serves the town of Chilmark on Martha's Vineyard. 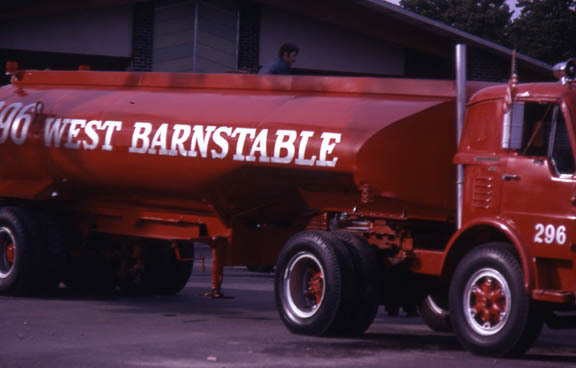 Barnstable Fire District placed this 1000 gallon breaker in service in the 1970's. 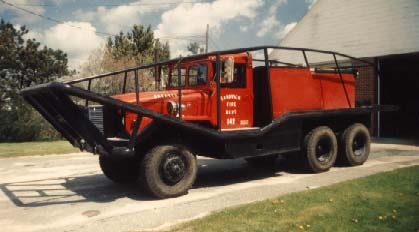 It was on a 1952 Reo Military chassis. 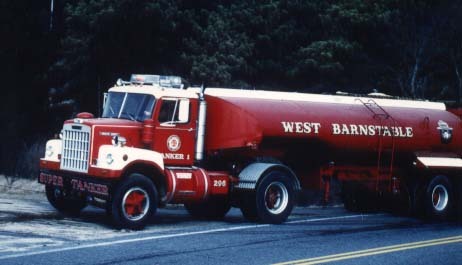 It was the only lime Barnstable apparatus. 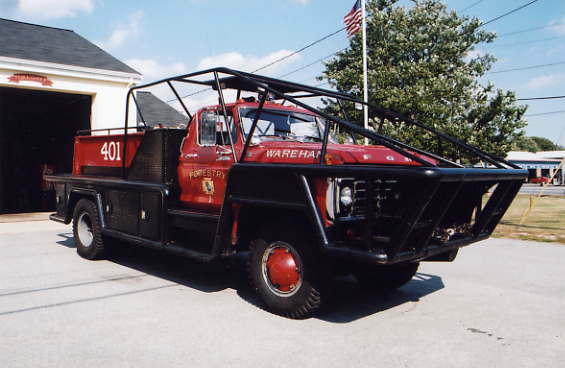 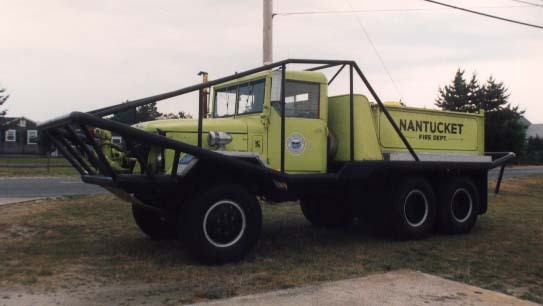 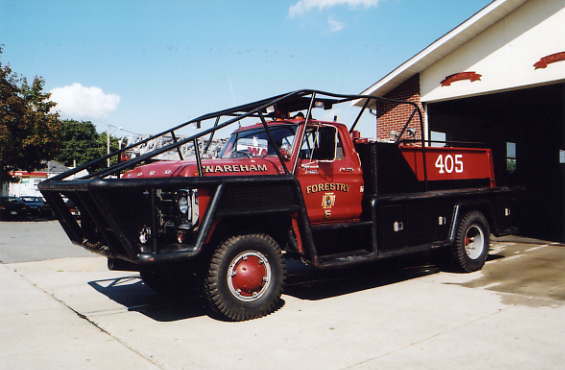 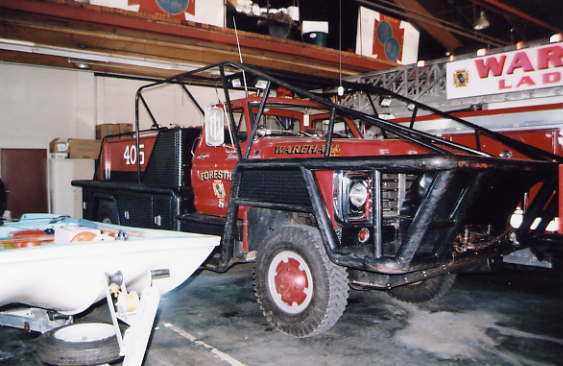 Upon retirement from the Barnstable Fire District, this 1952 Reo now calls Nantucket home. 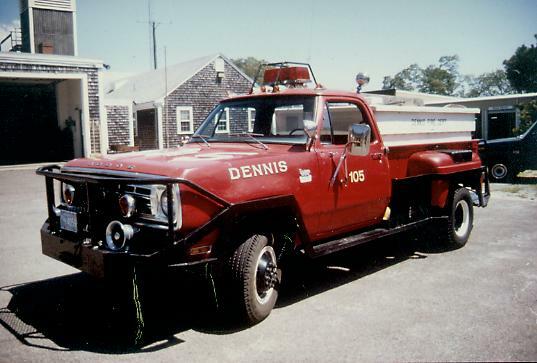 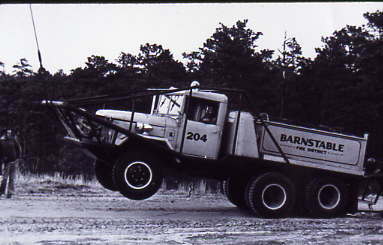 Dennis also utilized this 1976 Dodge 350 gallon forestry truck at Dennis Headquarters. 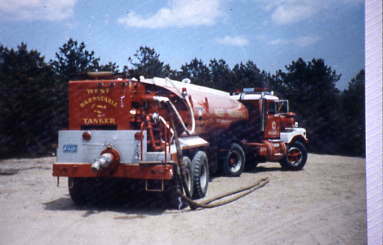 2006 photo of Plymouth Breaker 171 now serving as a spare at Station 2. 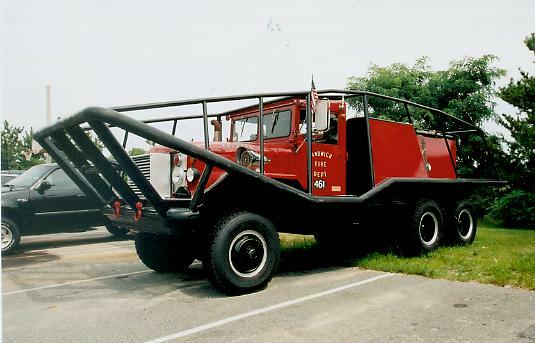 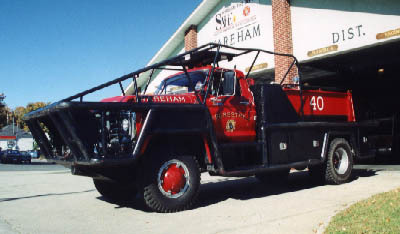 Wareham Fire Department's 1978 Ford / Farrar 750 gallon brush breaker. 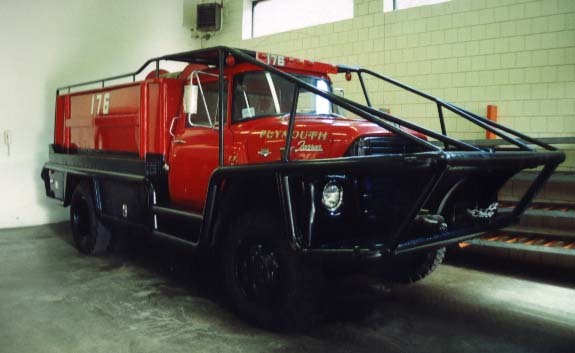 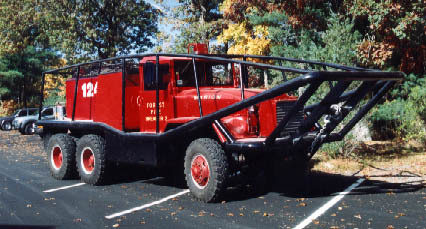 Plymouth Fire Department's Forest Fire 176 is a 1979 International / Farrar 600 gallon brush breaker. 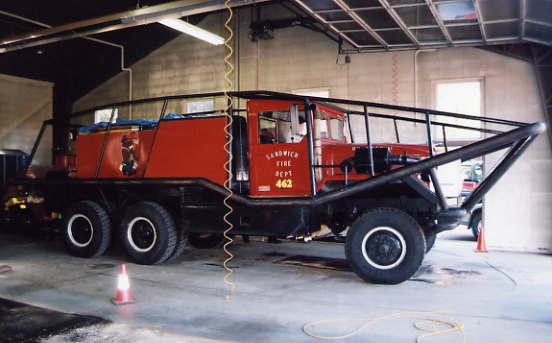 Sandwich Fire Department Breaker 142 (B 442) is a 1000 gallon breaker. 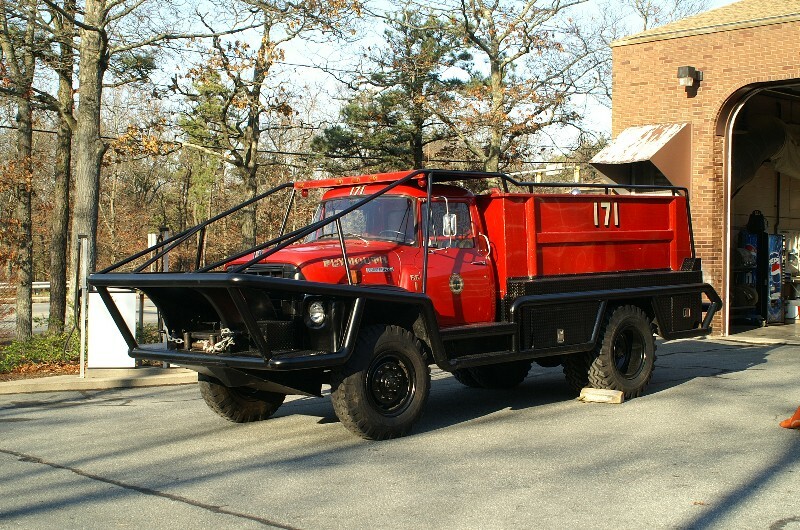 Placed in service in 1980, it is built on a 1967 5 ton Kaiser Military chassis. 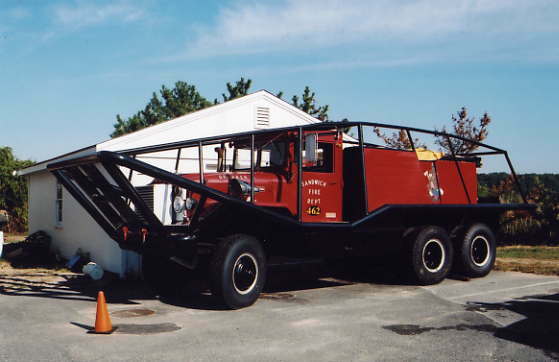 The 1967 Sandwich Breaker renumbered as Breaker 461 in 2000. 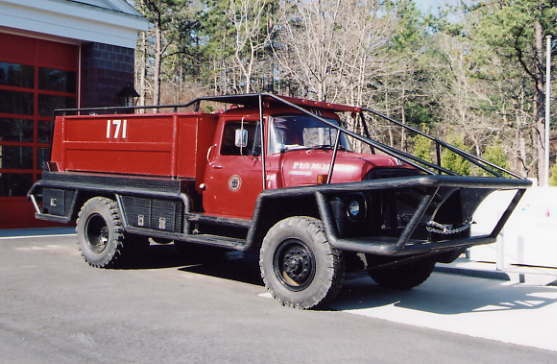 Marion Breaker 2 (124) is a 1000 gallon monster built on a military chassis.